UPCOMING PUBLIC HEARING ON PRACTICE BOOK REVISIONS! MAY 15, 2017! On May 15, 2017, at 10:00 a.m., the Rules Committee of the Superior Court will conduct a public hearing in the Supreme Court in Hartford for the purpose of receiving comments concerning Practice Book revisions that are being considered by the Committee. The revisions proposed by the Rules Committee are posted on the Judicial Branch website at http://www.jud.ct.gov/pb.htm. 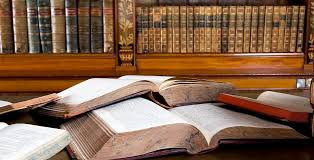 ADOPTION OF REVISIONS TO THE CONNECTICUT PRACTICE BOOK - RULES OF APPELLATE PROCEDURE! Notice is hereby given that the following amendments to the Rules of Appellate Procedure were adopted to take effect September 30, 2016, except that the amend- ments to Sections 60-4, 60-7, 60-8, 62-6, 62-10, 63-3, 67-2, and 79a-12 were adopted to take effect August 1, 2016. The amendments were approved by the Appellate Court on June 2, 2016, and by the Supreme Court on June 15, 2016. With respect to Sections 60-4, 60-7, 60-8, 62-6, 62-10, 63-3, 67-2, and 79a-12, the courts have waived the provision of Section 86-1 requiring publication of rules sixty days prior to their effective date. 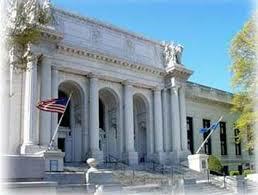 ADOPTION OF REVISIONS TO THE CT PRACTICE BOOK - SUPERIOR COURT RULES AND FORMS! "On June 24, 2016, the judges of the Superior Court adopted revisions to the Practice Book. The revisions will be officially released on July 12, 2016, by being published in the Connecticut Law Journal and will become effective on January 1, 2017, except that the amendments to Section 7-17 become effective on July 12, 2016. Contained herein is an advance release of those revisions. Revisions are indicated by brackets for deletions and underlines for added language. The designation ‘‘NEW’’ is printed with the title of each new rule and form. All revisions contained in this advance release are subject to correction prior to being published in the Connecticut Law Journal. In the event of any discrepancies between the revisions in this advance release and those published in the Connecticut Law Journal, the latest print version is to be considered authoritative. The Commentaries to the rules and forms are copyrighted by the Secretary of the State of Connecticut, and may not be reproduced and distributed without the express written permission of the Judicial Branch. GET THE CONNECTICUT PRACTICE BOOK ON YOUR MOBILE PHONE! Mobile-Friendly (single column) Practice Book - PDF This version of the Practice Book is formatted for easier viewing on tablet computers and mobile smartphones. It has been tested using Apple iPhone/iPads (iOS 7), Android ICS and Microsoft Windows Phone 7 operating systems with the Adobe Reader® by Adobe Systems which enables text searching within the PDF. If you have an Android or Apple device you may need to visit the Apple iTunes App Store or Android Google Play Store on your mobile device to install the Adobe Reader. Microsoft Phone 7 comes with PDF Reader® by Microsoft preinstalled. Special note for Apple iOS users: After downloading the Practice Book you can tap on the screen once and select "Open in..." to invoke the Adobe Reader. PRACTICE BOOK CHANGES FOR 2013 CURRENTLY UNDER CONSIDERATION BY THE RULES COMMITTEE! TAKE NOTE! Take a look at the new Connecticut Practice Book Rules which the Rules Committee is considering for this year! Let me know what you think! I was on the phone with a clerk recently challenging him on a file he had put together for my case. During the course of our discussion, I asked the clerk "How did you make your decisions about the content of this file?" His answer was, "I looked at the section in The Practice Book that provides the guidelines for what I am supposed to do." This, guys, is the very center core of everything that goes on in a court room. No matter what you do or say, it all comes down to are you doing what the practice book tells you to do. When I was preparing to take my case over as a self represented party, one of the first things I did was spend several days sitting in family court and observing what was going on. Now, I basically think all lawyers are no good and I wouldn't trust any one of them. But I do, now, have respect for one Connecticut attorney, Attorney Steve Dembo. Why? Because every time I saw him in court he had a copy of the Connecticut Practice Book right in front of him and whenever there was a dispute, he would just open it up and read from it. That approach always seemed to work like a charm and end the dispute in his favor. OK, so I guess that doesn't seem like rocket science to you and you figure anyone could do that. But don't be so sure. Remember all the dumb things your lawyers have done since you started your case. Unbelievable! Following rules that are clearly printed out in a book is really hard for these people! If the law seems mystifying to you, if you think your lawyer is all song and dance and no action, just take out the Practice Book, because the Practice Book tells you exactly what your lawyer is supposed to be doing. And if he isn't doing it, you can open the appropriate page during your next meeting and ask, have you done the following procedure as prescribed by the Practice Book? It is really hard for an attorney to wiggle out of what The Practice Book says to do. How can you get your hands on a Practice Book you ask and how much does it cost? I'll tell you. All you have to do is google "Connecticut Practice Book 2011" and you will be able to locate a PDF version of the book and download it off the internet for free. The only downside to this is that the book is over 500 pages long so you have to sit in front of your computer for quite a long time until the whole thing prints and then you have to find a way to store it so you can flip through the pages easily and read it. I have my Practice Book stored in two large three ringed notebooks, so that involved having to print the book out on three hole punched paper to save time. You can figure out your own system. Once you have your own copy of this book you essentially have in your hands the rules of court for the State of Connecticut which dictate exactly how a lawsuit is conducted; it tells you what documents to file, when you need to file them, and what you have to have in them in order to get the results you need. If you don't follow these rules, you may end up being unable to proceed effectively with your case in court and thus may lose your case not on the basis of the facts and the evidence, but simply on the basis that you didn't follow the rules in the Practice Book. Sometimes these rules may seem trivial, particularly when they go into the details of margins and page numbering, but keep in mind the clerks who receive all the documents you take to court will strictly enforce those rules. You don't want to go all the way to court and have a document rejected simply because your pagination was wrong. What this means is that to succeed as a self represented party or to work with your lawyer so he or she succeeds, you have to be attentive to detail, no matter how small. Whenever something has to be submitted to the Court, open up your Practice Book and review it and ask yourself have I done everything with this document that the Practice Book requires. If you haven't, do it over again. From what I have seen, cases either succeed or do not succeed based on these kinds of details. And you want to succeed.